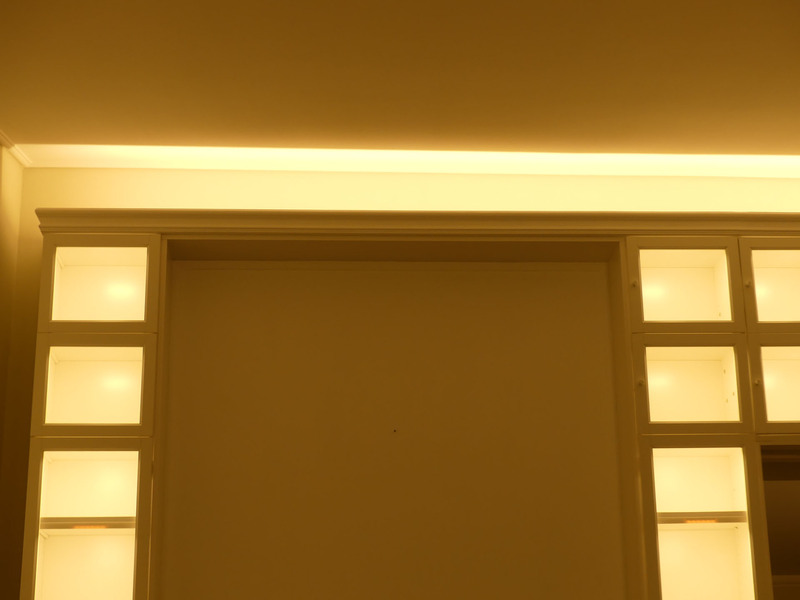 Relatively spontaneously I decided after completion of the cornice to set this by means of lighting in scene. 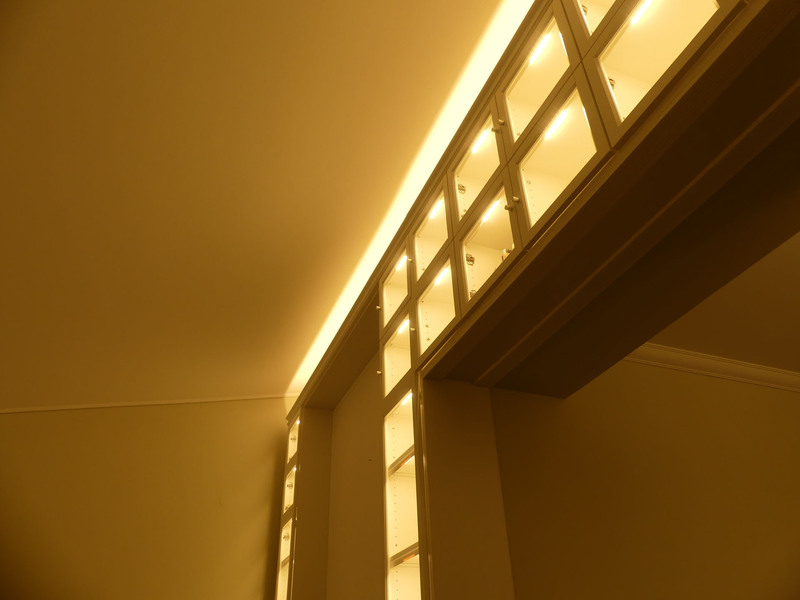 For this purpose, initially a low-priced LED profile (aluminium profile S with cover opal), because the profile is not visible and is only for cooling and protection against dust and other mechanical influences, is mounted over 5 meters directly behind the cornice. There are two pieces of two meters and one piece of one meter in length. The have 3 profiles instead one has again practical reasons, it reduces the shipping costs (over two meters in length bulky goods) and makes the handling easier. 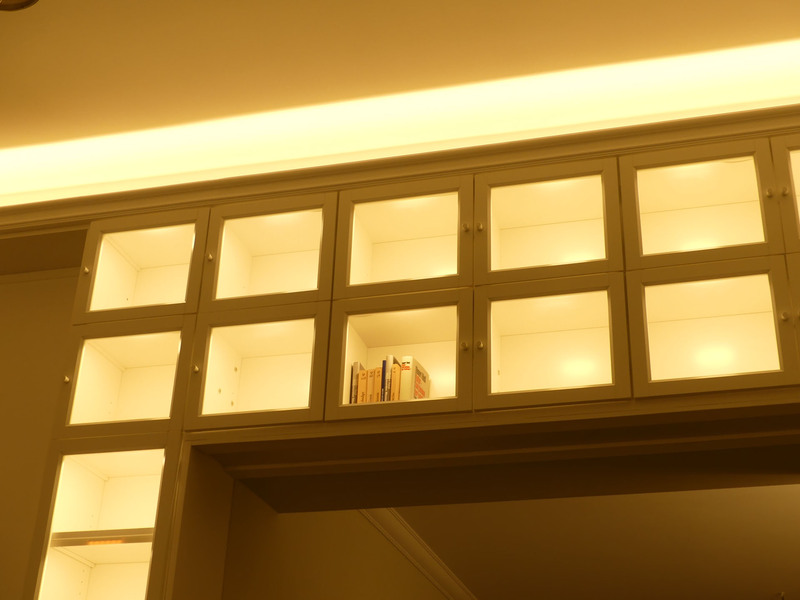 The lighting is again an LED strip type 3528-300 in 24V, in the light color warm white with 4.8 watts per meter. 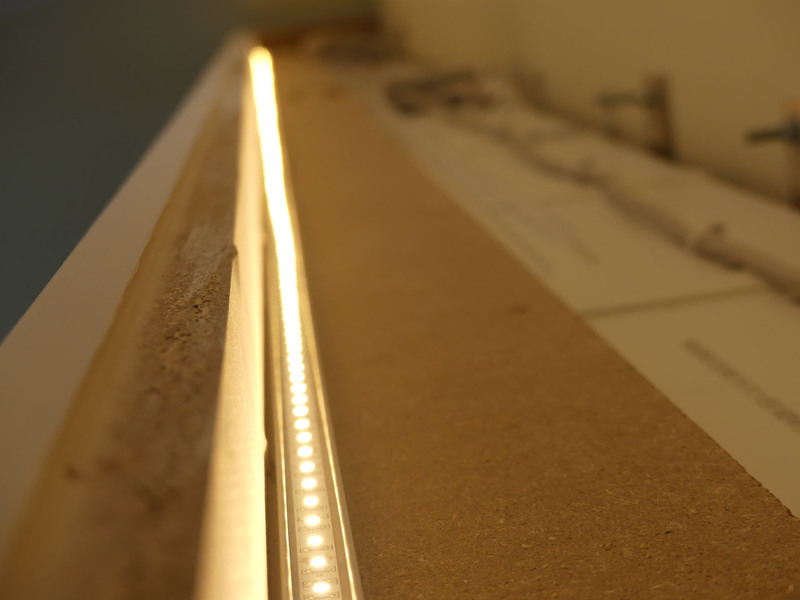 The LED strip is completely installed as a 5-meter piece. 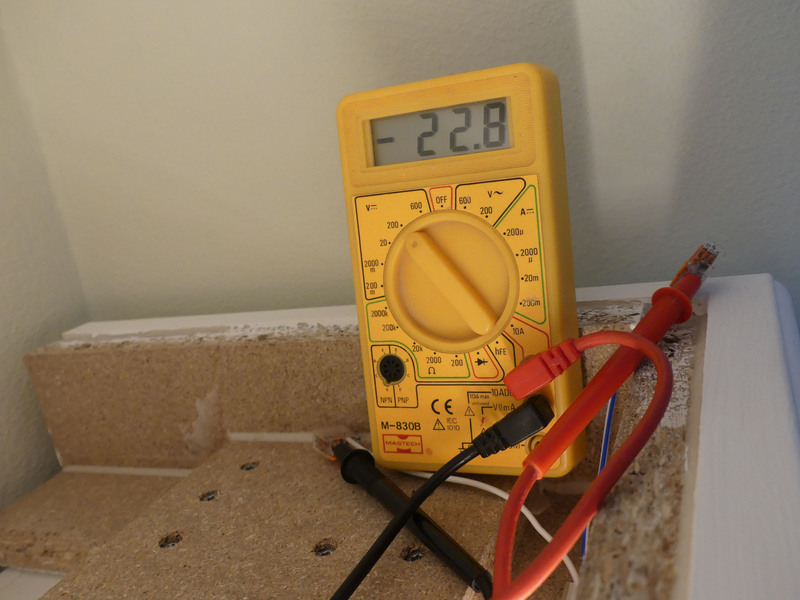 A measurement at the end of the 5-meter LED strip after a cabling distance of about 10 meters with a supply line in 2.5 mm² gave a voltage of 22.8 V. The voltage drop is thus 6%. 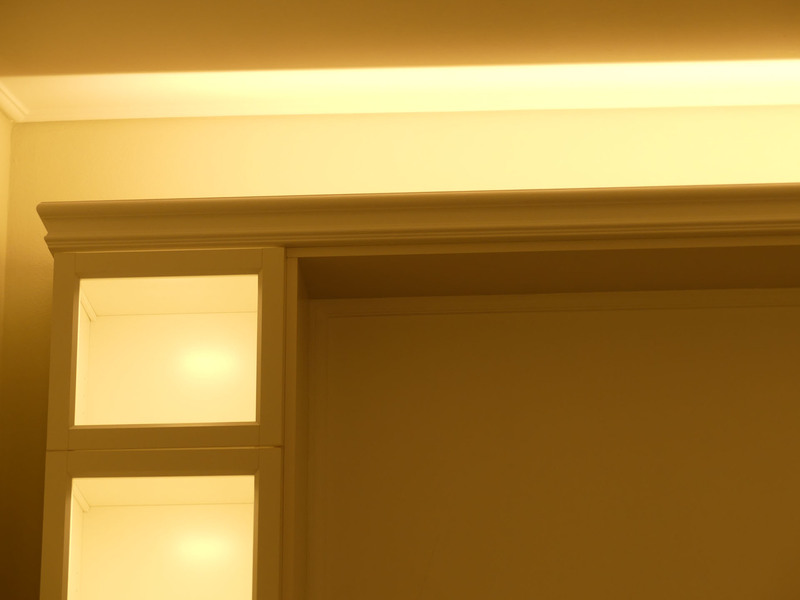 This is negligible in the application shown here, since not visible to the human eye in the form of a brightness reduction. 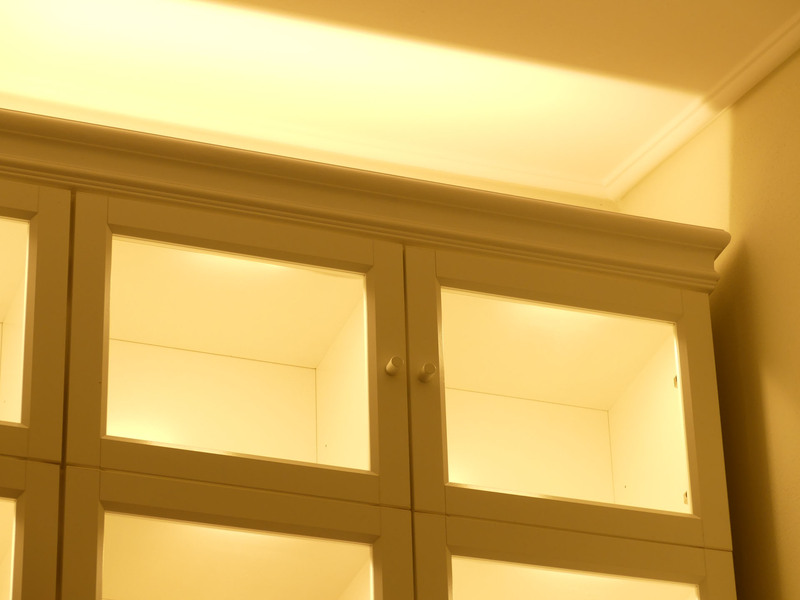 In addition, the lighting with no dimming is too bright. 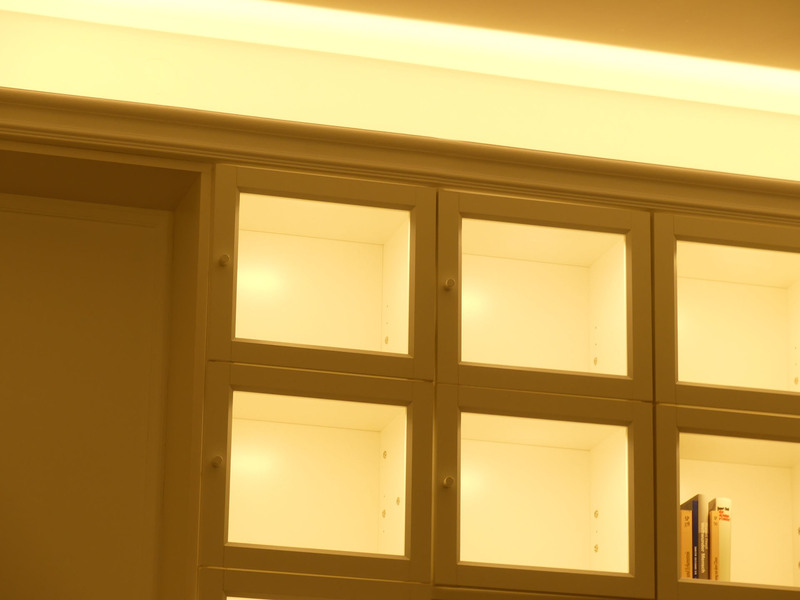 The LED strips can always be connected on both sides to compensate voltage losses within the strip itself over long lengths. 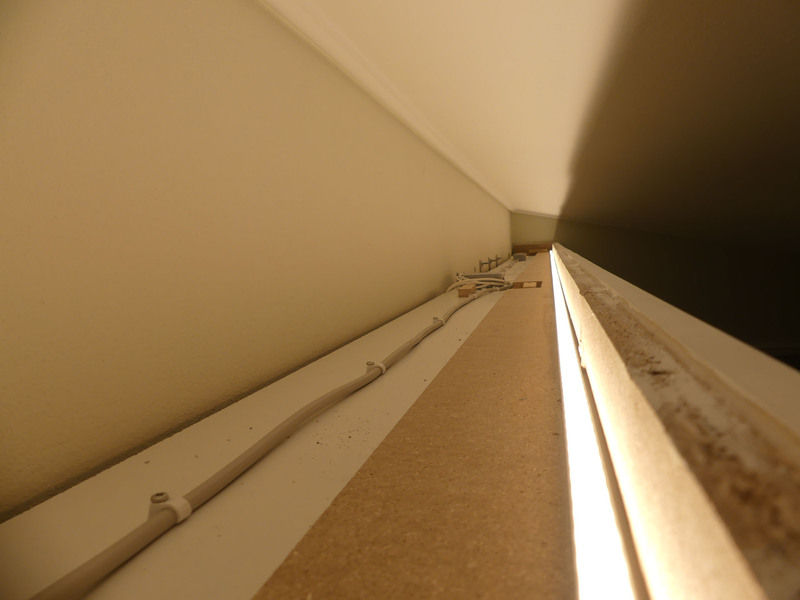 However, there is no need for the Neonica strips, as evidently well-dimensioned copper conductors are used. 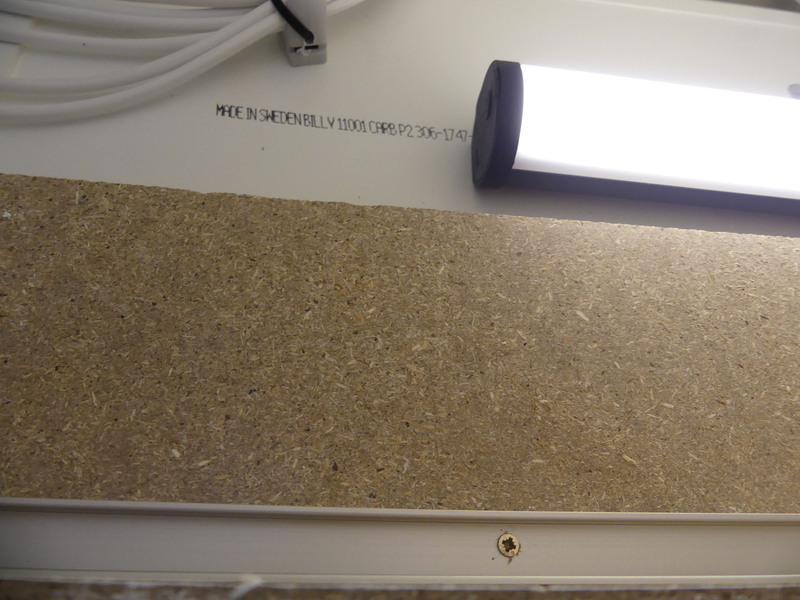 Cheap products from Far Eastern production may well have conductors made of other materials.